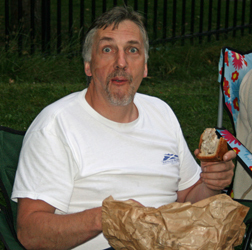 Keith, our 'Social Secretary' organises a range of events during the year. 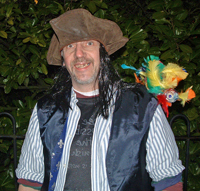 Pirate Night (mid December) and Hat Night (late March) are firmly established in the Roadhogg calendar. We also have a summer barbeque and an annual awards evening in November. There are frequent 'curry nights' and quiz master Dave Swan presides over lively contests of general knowledge. We also have a very relaxed 10K handicap race during August. 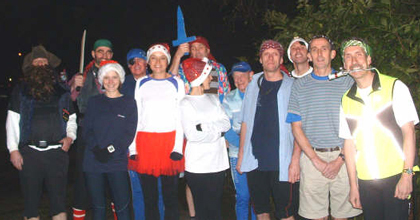 Previous winners: Barry Waterfield, Dave Cabaniuk, Chris Peach, Rob Taylor, Rich Norton, Bec Bromwich and Rae Clark. 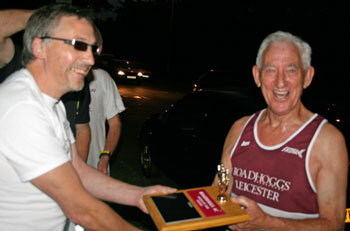 Barry Waterfield, first winner of the club handicap.